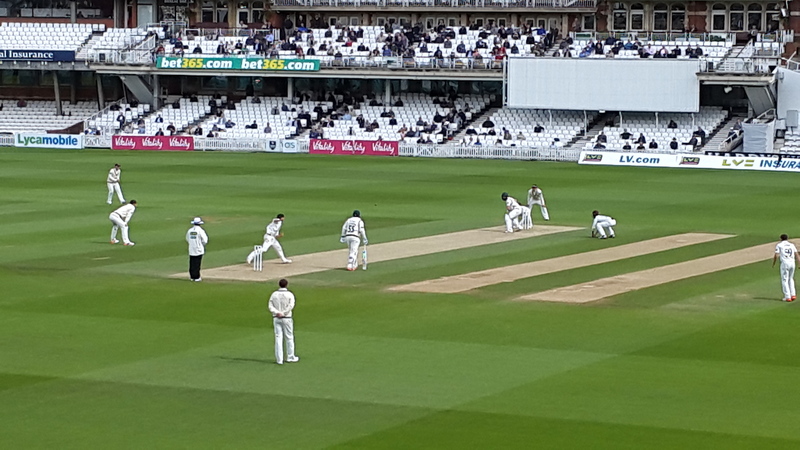 Cricket, a long drawn-out slogging match. Unless you’re Australia in the first innings at Trent Bridge in the 2015 Ashes. For Australia, yesterday’s crushing first innings defeat in the Ashes at Trent Bridge was a subject for national soul searching, typified by the response of The Sydney Morning Herald: England humiliate Australia on a first day that will live in infamy. (North American readers can just jump from here to the bullet list below.) All out for 60 before lunch? It’s unheard of – almost. You have to go back to the 1950s and ’40s for equivalent batting collapses. Training is not always the answer. The Australians have spent their lives since boyhood training at cricket and dreaming of beating England, in England. A few more hours in the nets would be pointless. They have the skill. For various reasons they did not apply it yesterday morning. Knowledge without application is useless. Do the Australians know the fielding positions on a cricket field? Of course they do. In fact, they found the slips quite easily yesterday morning. More knowledge is not the answer. I have talked widely about the training ghetto. In the training ghetto, the L&D team is usually responsible for just three types of training: compliance training, on boarding training, and fix-my-team training. The last of these is when the manager appears in the training department doorway and says, effectively, “my team is broken, please fix it.” Usually they ask for something like time management training across the team. Of course the manager is abdicating responsibility for his or her role as manager. Training is never the answer here. The answer is to be a better manager. A = Ability, can they do it? M = Motivation, do they want to do it? O = Opportunity, are they able to do it? Of all of these, the part that L&D is traditionally responsible – Ability – is arguably the least important. After all, only 11% of contracts are terminated because of a lack of employee ability. We know Australia have the ability. So where did they fall down yesterday? It was not Opportunity, because after lunch England came into bat and did very nicely, ending the day on 274 for 4. It must, therefore, have been Motivation. Exceptional performance demands leadership. We are fond of saying – rightly – that L&D is all about performance. But while L&D is necessary for performance, it is not sufficient. Exceptional performance demands leadership, leadership that inspires external motivation to push you to greatness, especially when times are tough. We cannot in L&D expect to solve all performance problems and – crucially – we should set the expectation with others that we cannot. Sometimes, we must say that a performance problem can only be solved by better management and better leadership. PS – I fully expect Australia to have rediscovered their internal leadership and to come out fighting today. PPS – If you’re from North America and have been left a little puzzled by this post, please read Not everyone reads American on the use of sporting metaphor in writing. moment. Learning and cricket in one post is something I want to savour as I’m unlikely to experience it again for a long time. I know it’s an analogy but if we are talking about the main reason I don’t agree. The reason the Aussies didn’t perform wasn’t to do with motivation or leadership it was chiefly down to a lack of adaptability in their approach. Having been sat in the ground at the 1st test amongst some Aussies, they truly believed that as the superior team with the heightened world ranking all they needed to do was play their normal game and they would blow England away. The team believed this too and it was their failure to adapt that lost them the Ashes. From an analogy perspective look at the American food chains such as taco bell, Wendy’s or best buy that have come into the UK not adapted to local conditions and been unsuccessful. From a learning point of view look at those training companies still trying to flog you the same 2 day workshop they’ve been selling for years, like the Australians it’s not producing the results it once did.